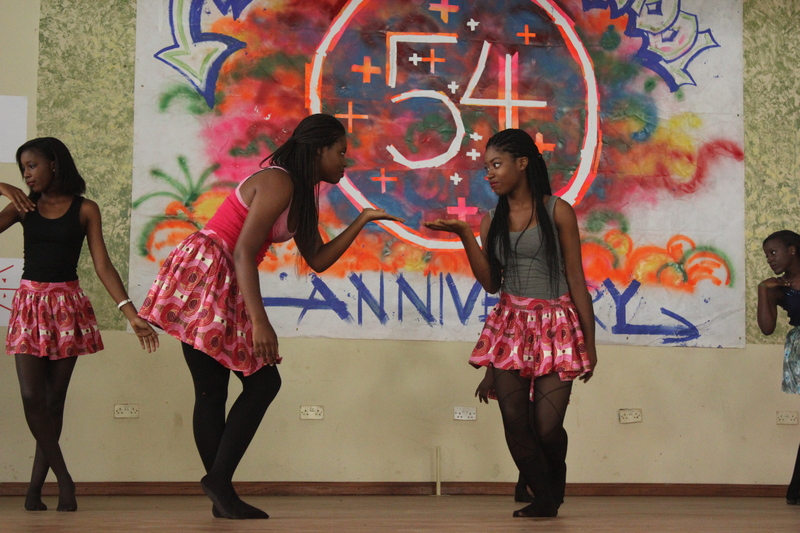 These are a group of students performing a dance for the founders of our school taught by our very own Art teacher. Posted on October 28, 2012 by gjveep	• This entry was posted in Tema International School. Bookmark the permalink. Our school’s founder is only one person. But you write ‘founders` here. Do you have plural founders? And what does the number,54, in the background mean? We have two founders Mr and Mrs Adjavon in our school and the numbers seen in the background is 5 plus(+) 4 which represents our 9th anniversary .